The European Commission published on Monday its key demands relating to the financial settlement and citizens’ rights on Britain’s departure from the European Union. 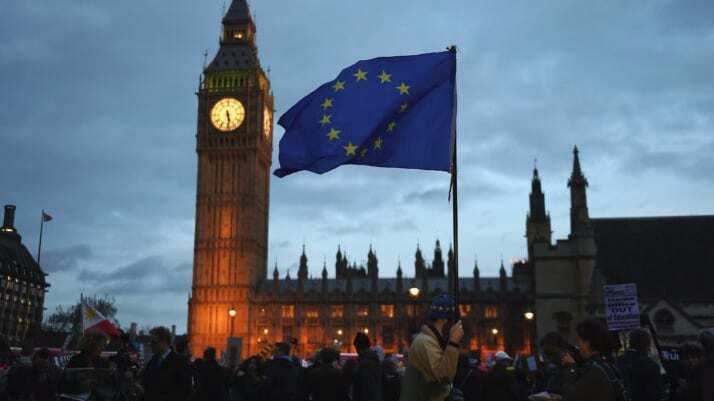 The commission has calculated that financial obligations arising from Britain’s membership of the EU covers 74 EU bodies, and wants all accounts to be established and settled in euros. While the commission has not put a figure on the final bill of Brexit, its calculations cover the period after Britain’s departure from the EU, a move likely to be highly unpopular among Brexit-supporters. The liabilities include capital committed to the financing of the European Investment Bank, Britain’s share of the funding of the refugee deal between the EU and Turkey and the funding of teachers at European schools, an issue that has long been a point of contention. The demands are likely to irritate the British government, which is keen on addressing financial demands in the final stages of negotiations and wants to tie them directly to a future trade agreement. With respect to citizens’ rights, the EU wants British nationals in the EU and EU citizens in Britain to have the right to acquire permanent residency after a continuous period of five years of legal residency. This would include people who do not hold a residence document at the date of Britain’s withdrawal on March 29, 2019, as well as their family members who might want to join them later. The commission also wants the Court of Justice of the European Union in Luxembourg to have full jurisdiction corresponding to citizens’ rights, a demand that is also likely to ruffle feathers in Britain. This could affect issues such as the flight compensation claims that many will be taking up as result of the bank holiday chaos caused by British Airways. This could affect future issues such as the flight compensation claims that many will be taking up as result of the bank holiday chaos caused by British Airways. The EU and Britain are set to sit down and begin Brexit talks during the week of June 19. All this follows the week where Theresa May has been accused of being Donald Trump’s “mole” in Europe after leaked documents showed the UK attempted to water down EU policies designed to tackle climate change. While other European politicians have made clear to the Republican billionaire that his denial of climate science is a problem, the Prime Minister has remained resolutely silent on the issue, does this betrayal for the EU’s mean the EU will maintain a tough stance to Britain’s Brexit?